Mark your calendars! Only 45 days and counting until The Elf Express pulls into Manchester at the rk Miles Train Depot on Saturday, Dec. 19th and Sunday Dec. 20th. Enjoy holiday song and dance routines by the dance and theater program from Burr and Burton Academy while snacking on cookies and sipping a nice cup of hot chocolate. 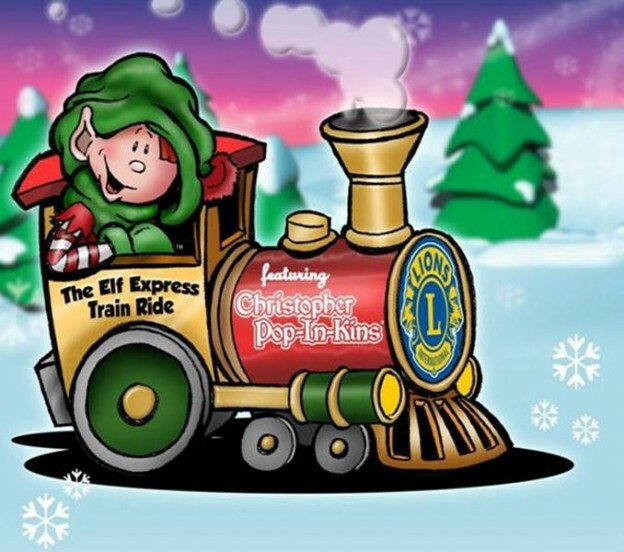 Passengers will also be treated to a Christmas story about Christopher Pop-In-Kins, who hides in the Xmas decorations on the train to see who has been naughty or nice. 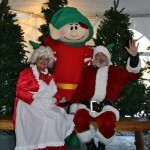 Mr. and Mrs. Claus will make a surprise visit with a special gift for every child on the train. TICKETS MAY BE PURCHASED AT THE EVENT BASED ON AVAILABILITY. THESE WILL BE ON A FIRST-COME, FIRST-SERVED BASIS. Prices for this event are $25.00 for adults (13 and older), $20.00 for children (2-12). Children under 2 who can sit on a parent’s lap are free. This is a charity event sponsored by the Manchester Lions Club. The Lions Club supports local and education programs throughout the community. So grab the kids and enjoy a one hour magical journey through the Southern Green Mountains. This entry was posted in Activities, Now Trending, Things To Do on November 5, 2015 by Linda Cassella.